Pittsburgh's #1 DJ Choice for Weddings, Parties, & More! We offer some of the Only Professionally Trained Wedding DJ’s in Pittsburgh! Our Open-Air Photo Booth will ensure laughter, smiles, and memories! We can transform your boring room, into something magical that you’ve always dreamed of! With years of DJ entertainment and communications experience, we use this experience at your event to make it the most successful, exciting time that you will ever have! 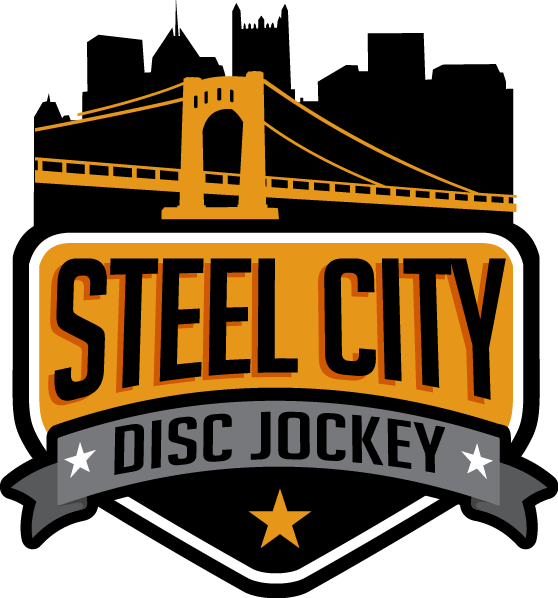 Steel City DJ Entertainment has been pleasing crowds at hundreds of Pittsburgh area weddings, parties, school dances, and more since 1997. Experience truly matters. We are professionals in DJ entertainment and we use our talent to accurately read your crowd. This makes us able to easily choose the best music selection to keep your event fun and exciting all night long which keeps everyone on the dance floor. Our “MC” talent is also strong to ensure everyone is engaged in your event. We utilize only the most professional audio and lighting equipment. Our systems can be powerful enough for up to 20,000+ people…but yet is not over-powering for small groups. We have systems available that can rock your party like the hottest night club in town, or systems that can keep your event classy and elegant. We have our staff that is on-call for every event just to ensure there will be nothing going wrong for your event. We offer a modern day approach to event planning. Every client receives a free account to our online planning system. This system allows you to plan your event…everything from the music that is played to the time-line of your event. This planning system ensures that we run your event the way that YOU want it! Weddings and some other types of special occasions not only receive the free online planning, but we will also sit down in person with our clients to better discuss and plan out the entire occasion. Your Wedding reception is the most important “party” of your life…and we know that! We promise to give you the best in quality entertainment in the Pittsburgh area at a great rate! Just a tip: “Great entertainment is not always cheap…Cheap entertainment is not always good”! We encourage you to shop around for other DJ’s in the Pittsburgh area. As we believe that we have very fair competitive rates, our rates are definitely not the lowest in the area. BUT…if you want to be confident in the DJ entertainment at your event, and one that offers you A LOT for your money, then please fill out the information on our “Request a Quote” page for a free, no obligation quote!